When I get blue and don’t want to budge, I instinctively search for a dose of inspiration (some days, a double dose). Often, I’m inspired by beautiful imagery such a lovely table setting or brilliantly designed floral arrangement. Other days, a powerful quotation will spark a fire in me. Housework, especially laundry – my personal nemesis, is an unending cycle of daily tasks that can bring down even the most dedicated, disciplined and visionary of mothers. I’ve a secret weapon. Some people wear power ties or power shoes, my self-inspiring garb is a little less glamourous – it’s a power apron. Sure, I’ve been guilty of mocking pictures of mums in fancy apron and pumps, but now I’m in awe of those wise women who went before me. 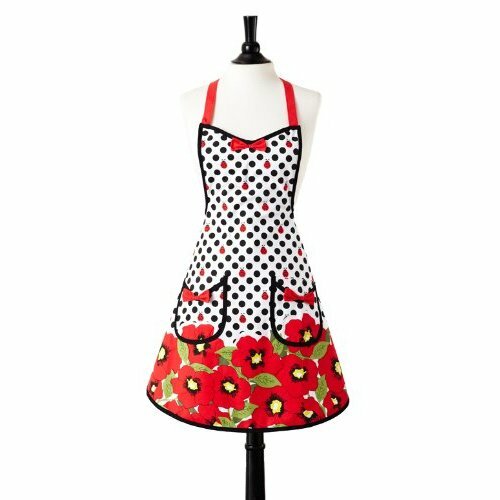 There’s power in a simple apron! When I tie those proverbial strings, my whole persona changes. I become “Mother” in the dearest sense, and I’m ready for work. I’m suddenly the heart of my home wiping noses, baking cookies, kneading dough, folding laundry, and…. My apron inspires me. It lightens my load. Like the glorious and faithful rainbow, we all need something external, tangible and pretty to serve as a remembrance. My apron reminds me of all the quotes I collected, verses memorized, the Martha Stewart magazines devoured, the countless books and articles absorbed, and the cookbooks read cover to cover in an effort to become a better mother, wife and homemaker. 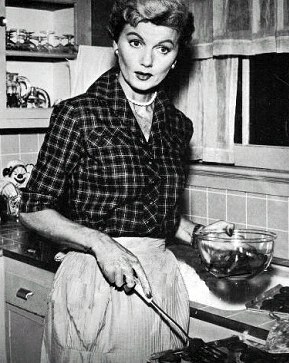 My little apron does all that and more (on a practical note, it even protects my clothes from inevitable doughy clumps). It truly is a power apron! Fabulous color combination! Are you inspired, yet?